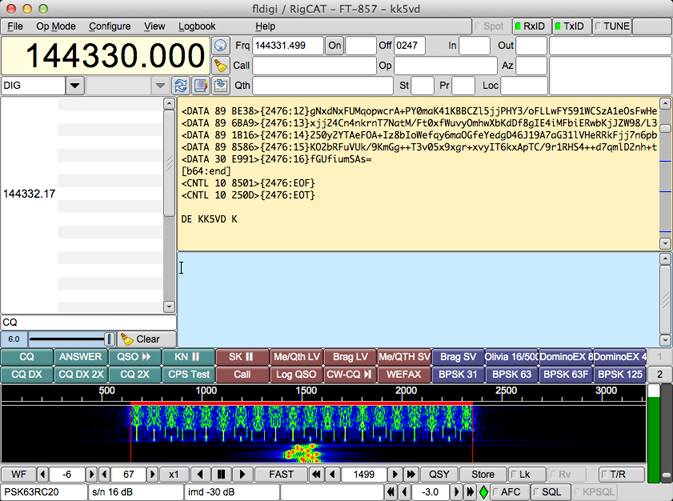 Fldigi is a modem program for most of the digital modes used by radio amateurs today: CW, PSK, MFSK, RTTY, Hell, DominoEX, Olivia, and Throb are all supported. It can help calibrate a sound card to a time signal and do frequency measurement tests. * add user help notes for all contests. - Increased max MODE string to 20. Subsequent fldigi execution reads data from files. * disable wefax thread when modem not in use ! * Change to waterfall widget to accommodate changes in fltk 1.4.x. 1,199 5,633 W1HKJ & Associates <img src="https://www.oldergeeks.com/downloads/gallery/thumbs/fldigi1_th.png"border="0"> Feb 08, 2019 - 13:01 4.1.00 5.48MB EXE , out of 13 Votes.